In order to achieve meaningful test procedures in the field of electronic payment transactions, strict requirements must be fulfilled by the test files. If no anonymous test files are available, a flexible generator helps provide the data. The approval of new software versions requires the successful execution of reliable tests. However, especially in the area of electronic payment transactions, productive data must not be used in test environments for data protection reasons. Possible solutions are either anonymised productive data or the generation of ‘real’ test data. However, it often only makes sense to generate realistic test data, especially if the test cases have to contain certain random data or combinations of test cases are required in a single SEPA file. Realistic test scenarios require the use of some concrete values, e.g. fixed originator accounts in SEPA credit transfers. In that case, generating random values is not helpful. Instead, generators need to be able to select appropriate entries from a pool of available data sets and process them accordingly. Ideally, the principle of combining predefined data sets on the one hand, and the generation of all types of random data for different test cases on the other hand, should be based on templates. A template combines a format definition, e.g. for SEPA credit transfers in the format of pain.001.001.03 with predefined data sets on the one hand and variable values on the other. 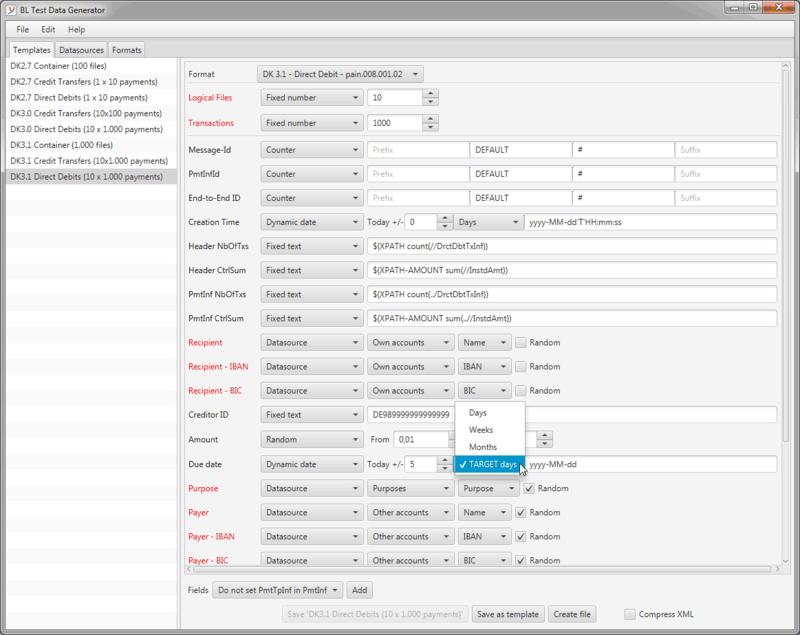 Another requirement for payment file generators is the ability to integrate them into any scenario. In particular, it must be possible to call the generator as a module in automated processes by specifying predefined templates. It also has to be possible to integrate it into a wide variety of test environments, e.g. virtual environments with Windows or Linux as the operating system. 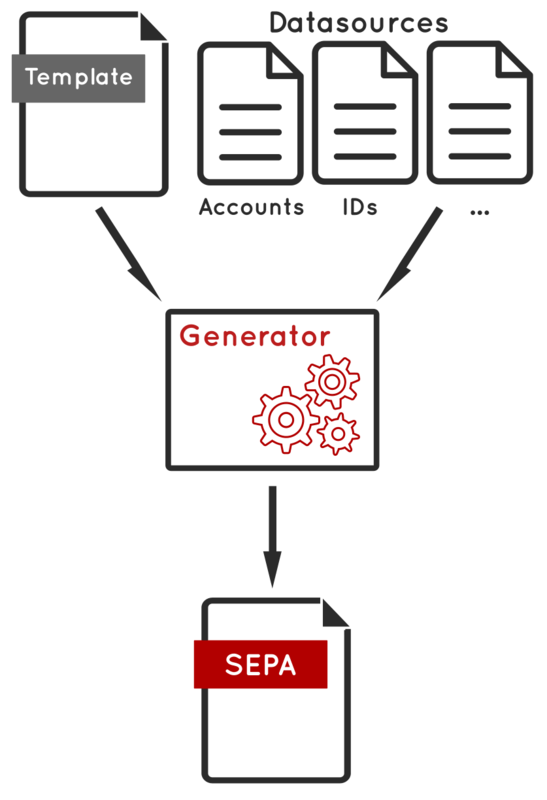 The BL Test Data Generator, a program for template-driven generation of SEPA test files, is now available. It supports the use of custom data sources as well as a multitude of rules for flexible value assignment. The software is available directly from the manufacturer. Business-Logics offers a trial version to interested users on request.